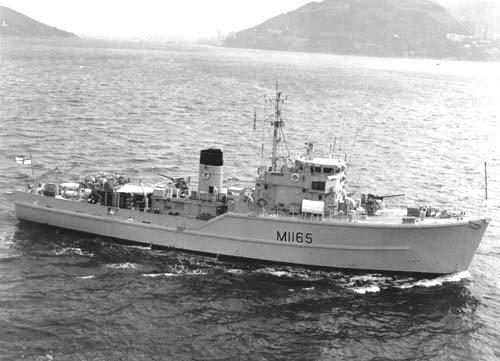 In the Royal Navy 116 Ton Class minesweepers were delivered between 1953 and 1960. Subsequently, 15 of these vessels were converted to minehunters with the addition of sonar to detect mines on the seabed, while others of the class were sold to navies overseas. Designed to counter the magnetic mine, the Ton Class were constructed using materials with the lowest possible magnetic signature. Hulls were double-skinned in mahogany, on aluminium frames. Superstructures were largely of aluminium. Copper hull sheathing was later replaced by Cascover nylon to prolong the life of the wooden hulls. Open bridges in the original design were replaced in many vessels of the class by enclosed bridges and a tripod mast. The minesweepers of the class were fitted with various types of towed equipment, including wire sweeps armed with explosive cutters which could sever the mooring cables of bouyant mines, and acoustic/magnetic influence sweeps which could mimic the characteristics of larger ships and trigger harmless detonation of the mines during clearance operations. 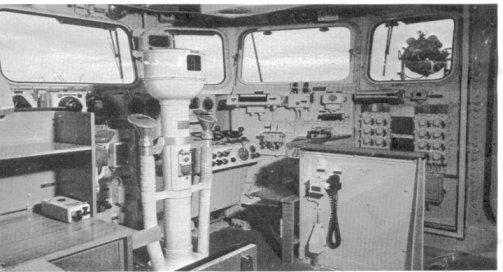 Minehunting involved the use of high definition sonar to detect mines, the deployment of divers to help classify them and the use of counter-mining techniques to clear safe routes for shipping. To ensure that these cleared routes could be followed exactly, special equipment was fitted to the ships, whose crews were trained to become expert in the art of precision navigation. The most common armament was a single Bofors 40/60 gun on the focsle, but other small calibre weapons were fitted for specific operations. 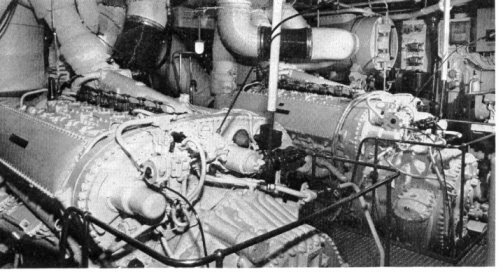 Mirrlees engines fitted originally were replaced by lighter weight Napier-Deltics, producing 3000 brake horse power on each of two shafts. For more (and better) views of life aboard a typical minehunter, click HERE to visit David Axfords excellent site. The best I`ve seen!